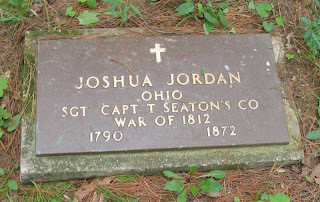 These words came clear to me recently on a visit to Baldwin Cemetery in the town of Vernon, Indiana. 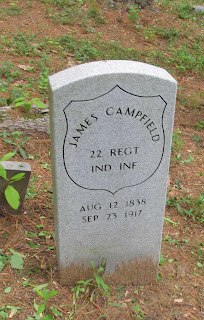 While I was studying a nearby fossil locality, my journey took me though this cemetery where I came across the tombstones of two soldiers. 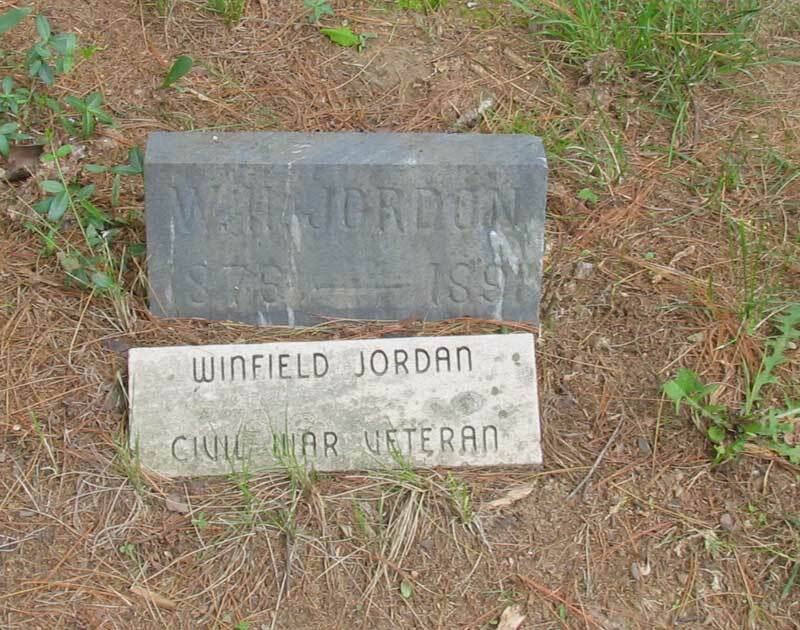 Both men have the same last names and buried within meters of each other. 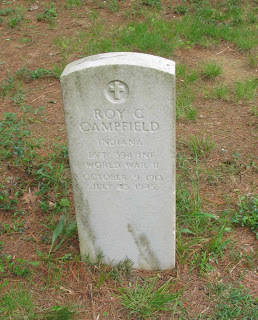 One died during World War II and the other a soldier in the American Civil War serving with the 22 Regiment Indiana Infantry died of old age during World War I. 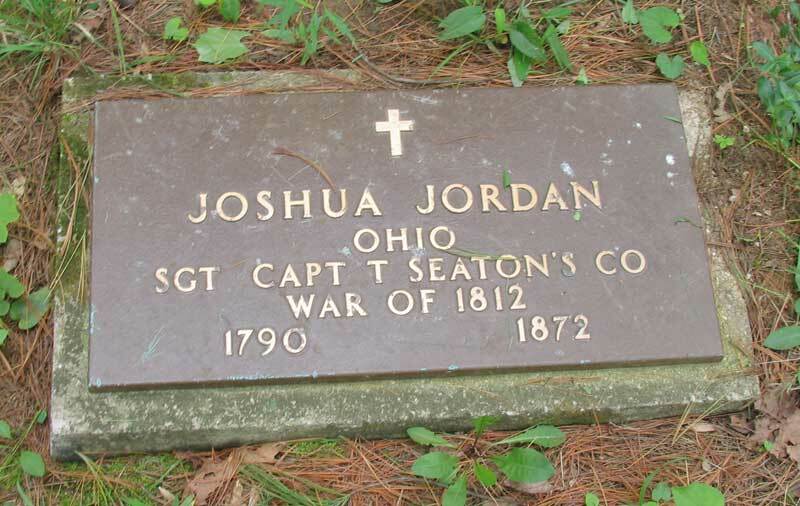 Memorial Day was created to honor soldiers like this. 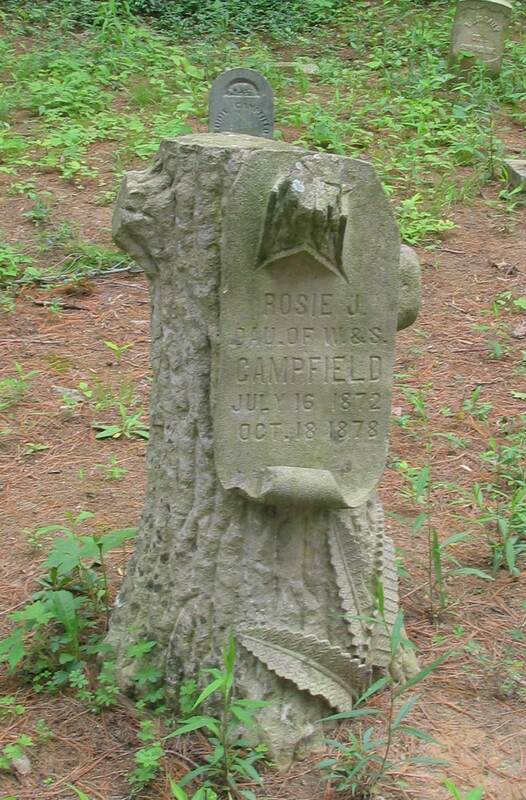 Interesting, the same cemetery more veterans were found and again with the same family name. 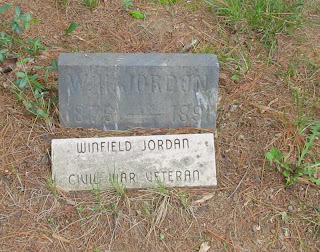 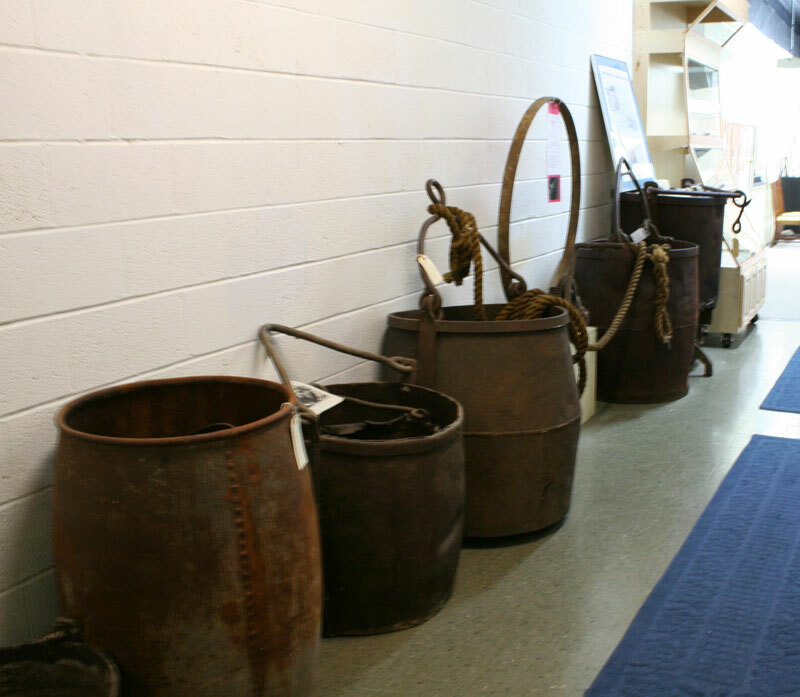 These veterans were from the War of 1812 and the American Civil War. 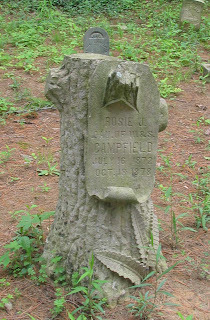 Another grave marker appears to be from the famous Indiana Limestone and shows some the excellent stone carving craftsmanship. 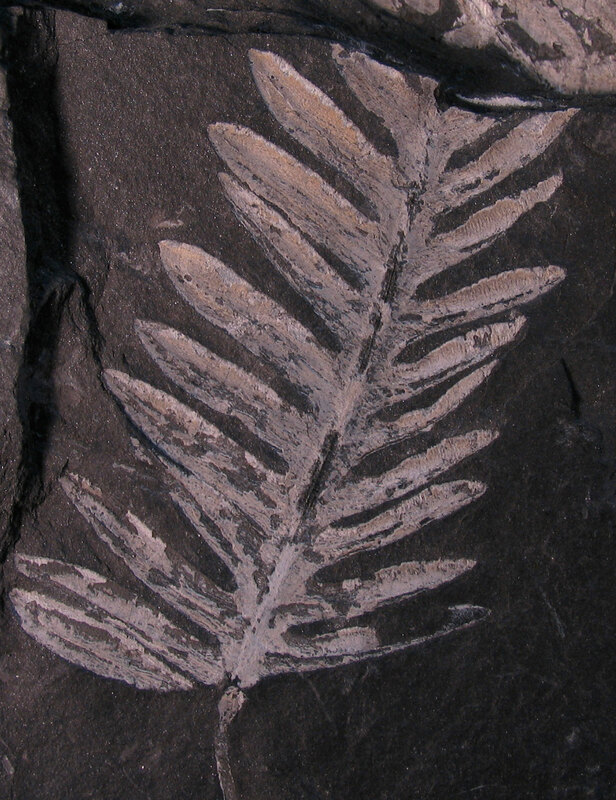 It represents a tree stump with a fern growing next to it. 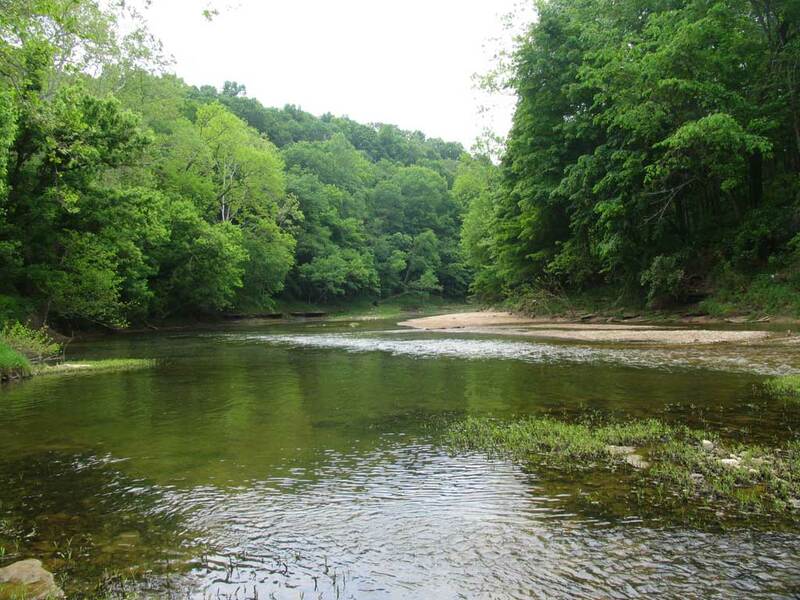 The Muscatatuck River flowing near the cemetery. Cephalopod imprint of a Silurian Dawsonoceras(?) 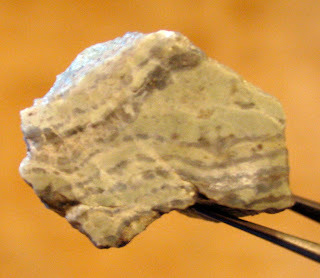 in the Laurel Dolomite. 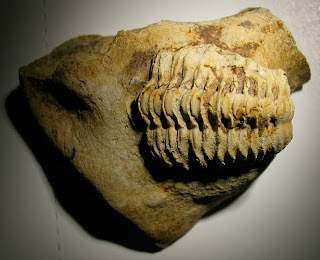 Phacops trilobite from the Devonian Period found in Jeffersonville Limestone of Clark County, Indiana. 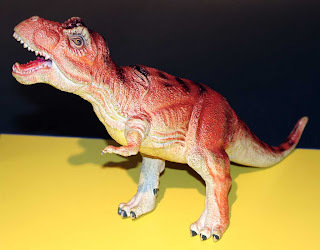 Toy dinosaur in the KidZone at the Louisville Science Center. 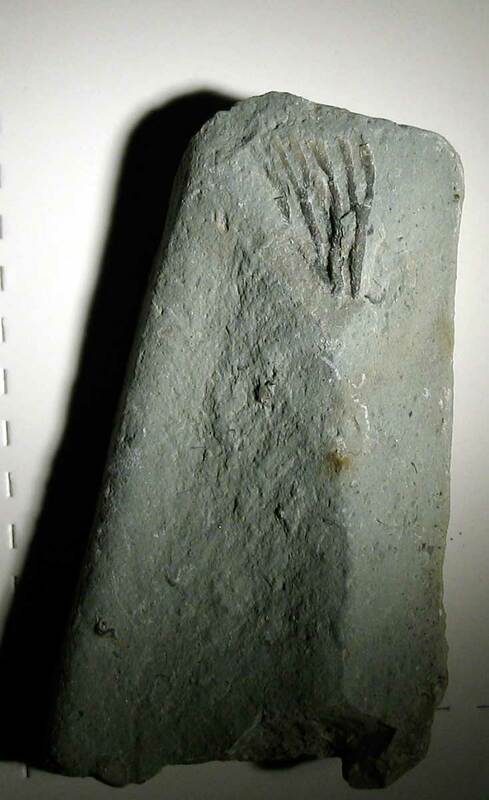 Maybe a T. rex? 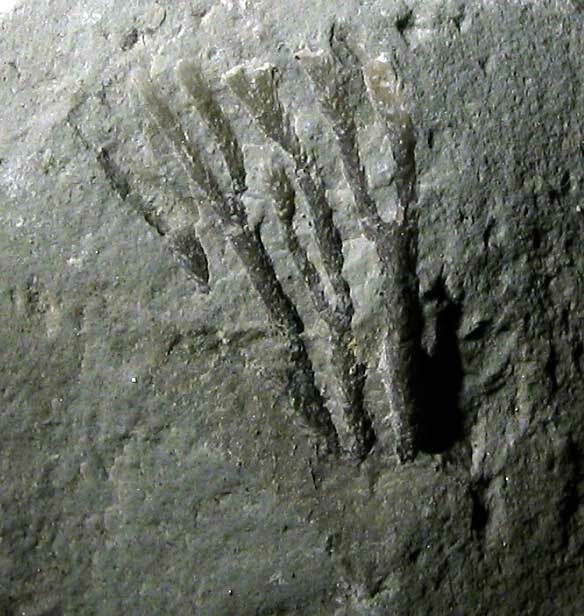 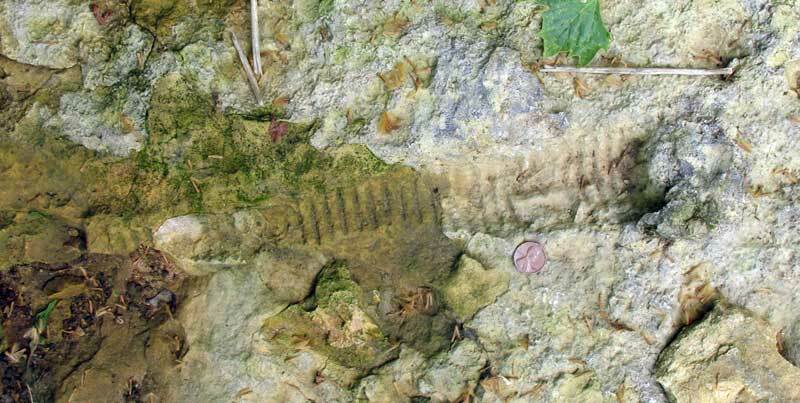 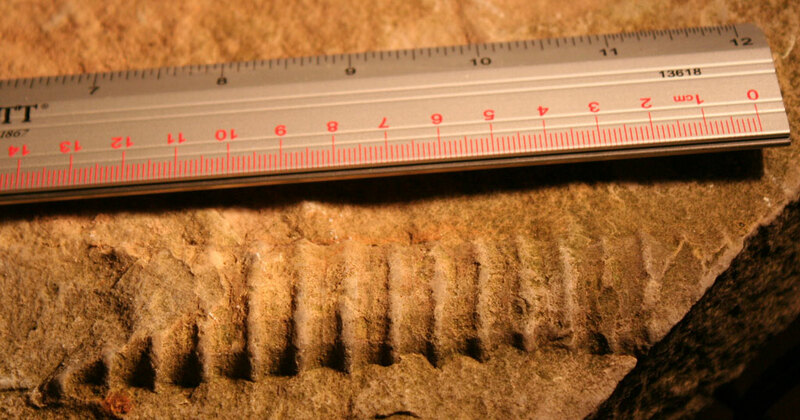 This Silurian cephalopod imprint was found in Jennings County, Indiana maybe the Laurel Dolomite (in a layer below the Waldron Shale). 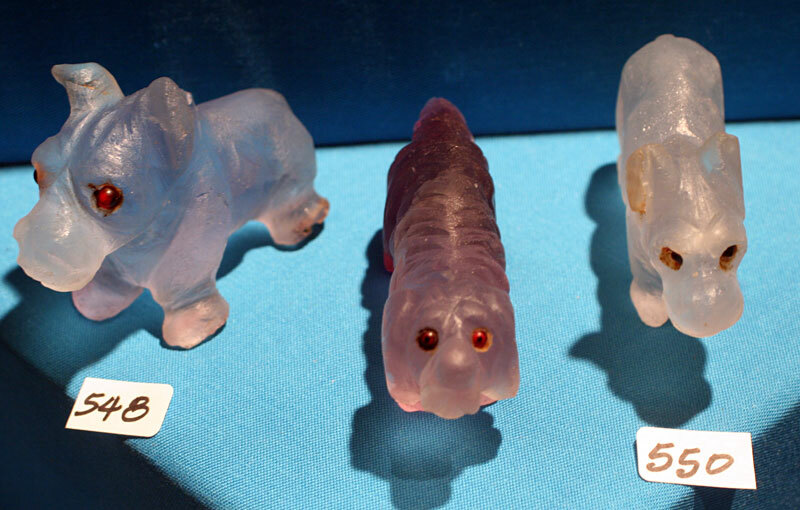 It reminds me of the Dawsonoceras. 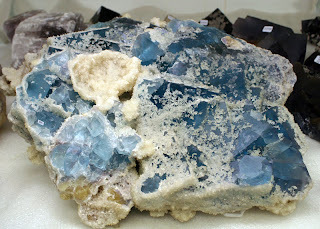 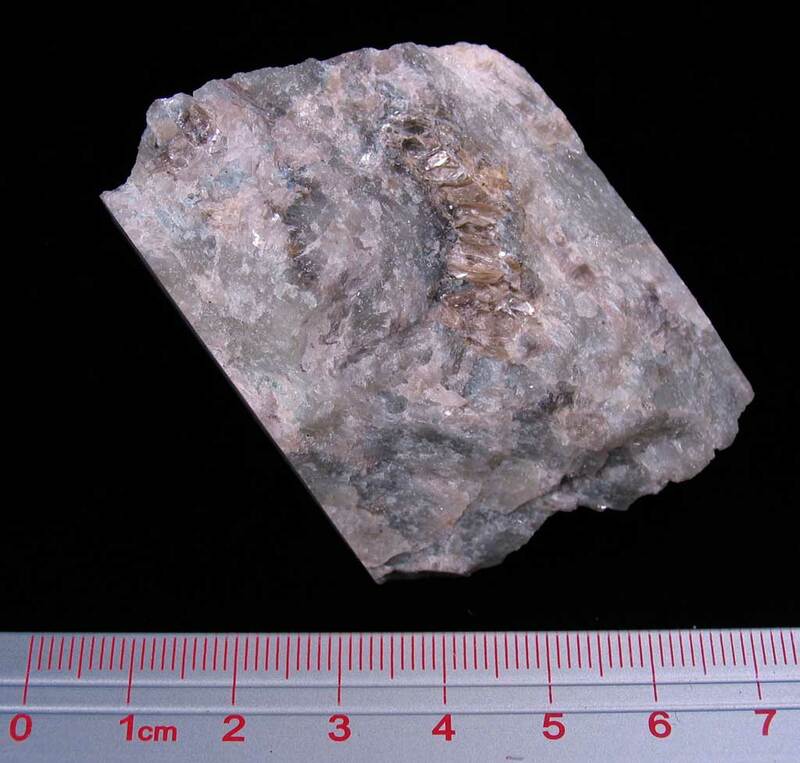 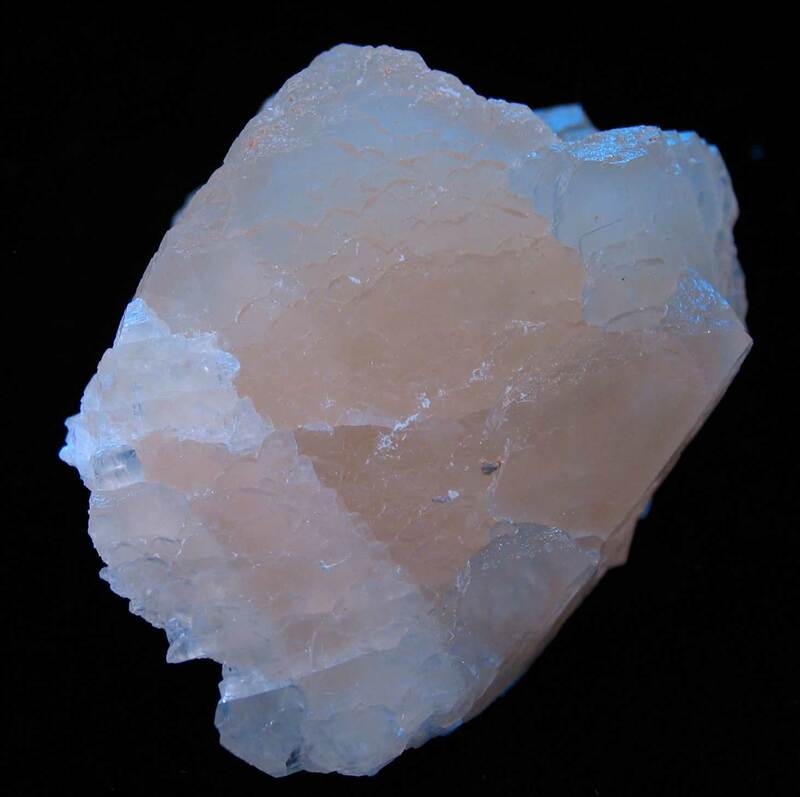 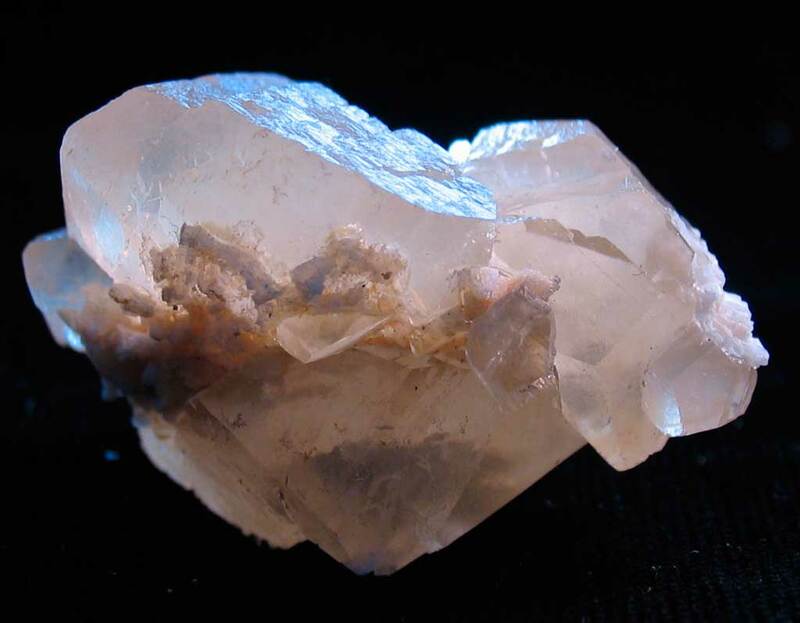 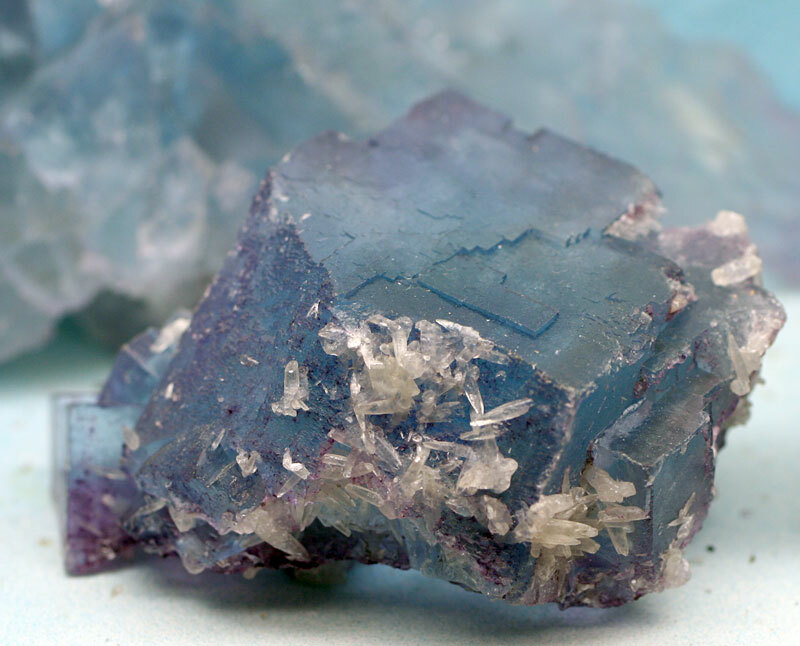 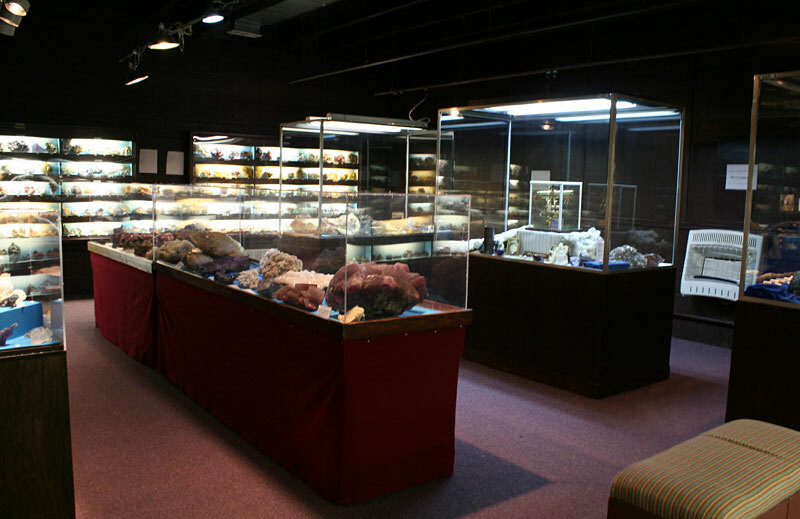 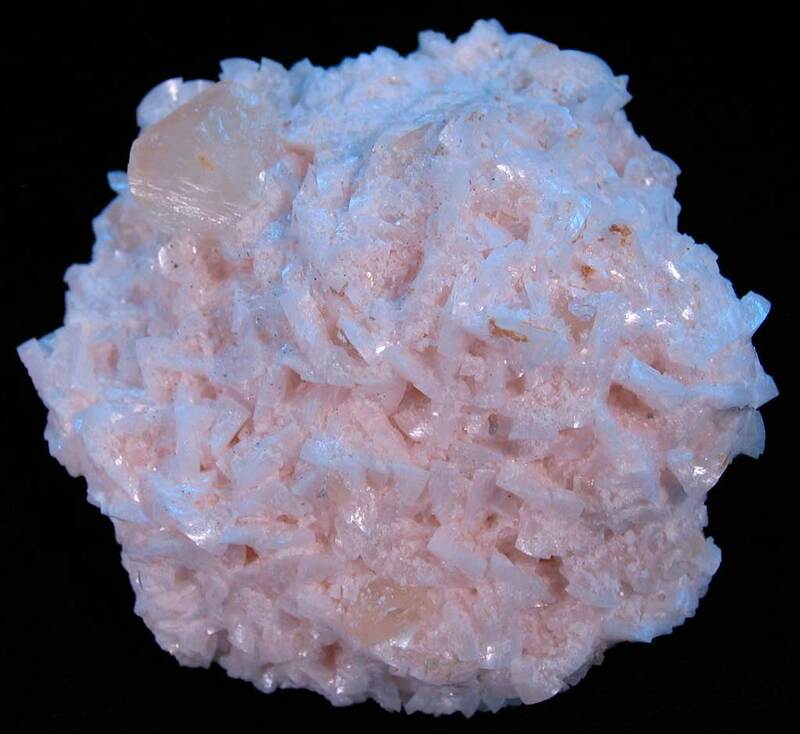 Calcite is one of the most prevalent minerals found in the state of Indiana. 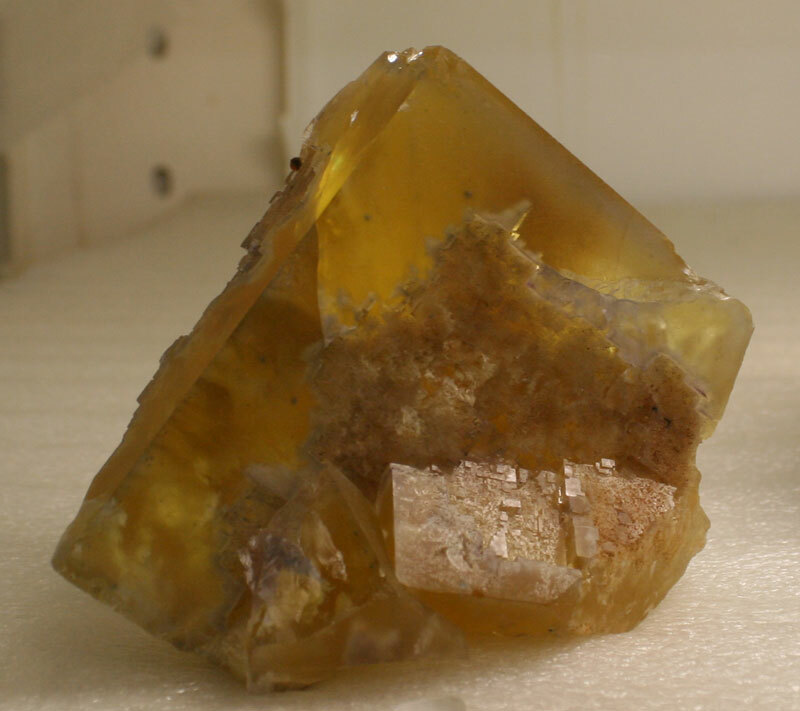 These first two pictures show clusters of honey colored calcite crystals with remnants of pink dolomite. 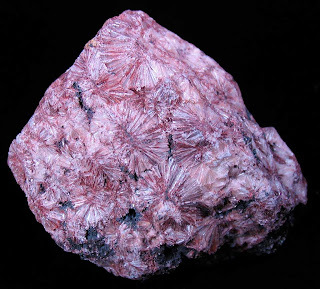 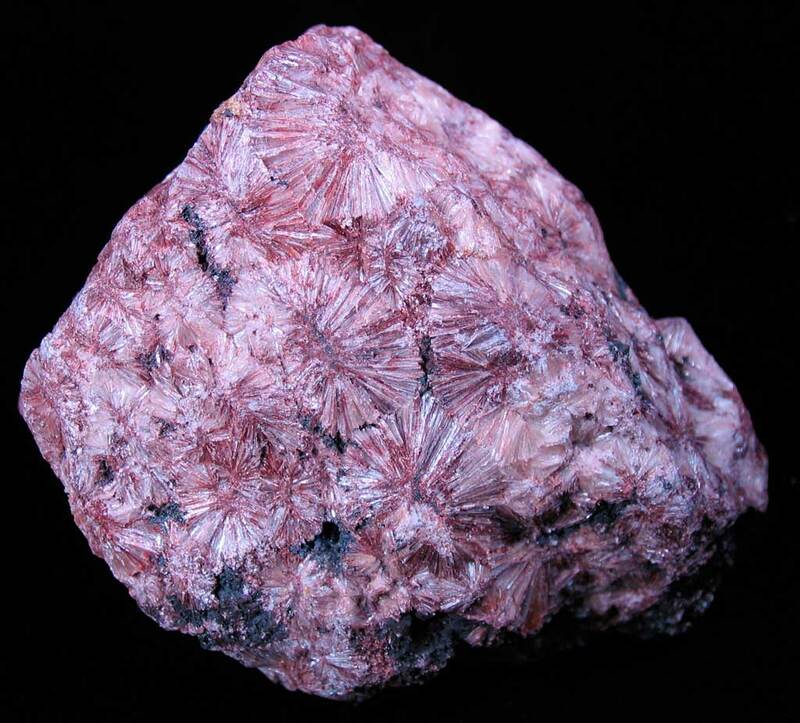 The third picture shows the reverse with a large concentration of pink dolomite with two calcite crystals. 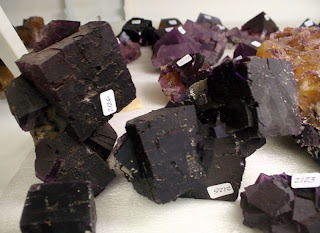 These minerals were found years ago in Harrison County, Indiana. 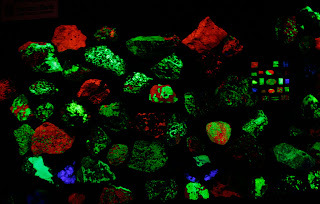 They are for sale on eBay CLICK HERE, CLICK HERE, and HERE. 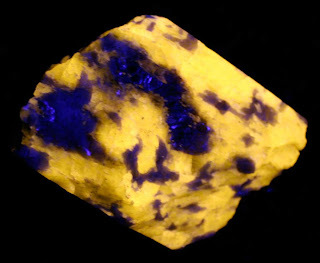 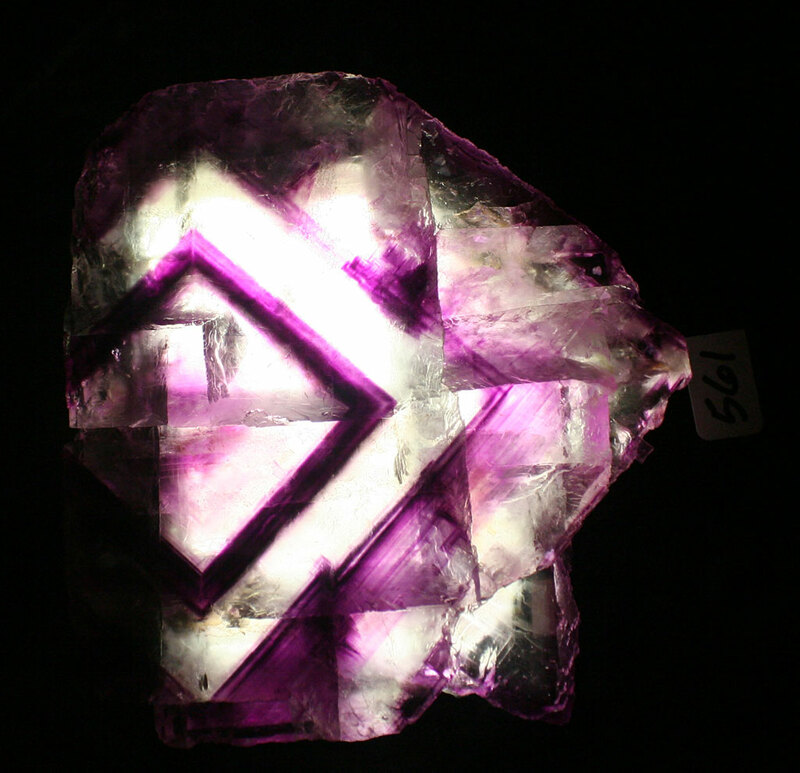 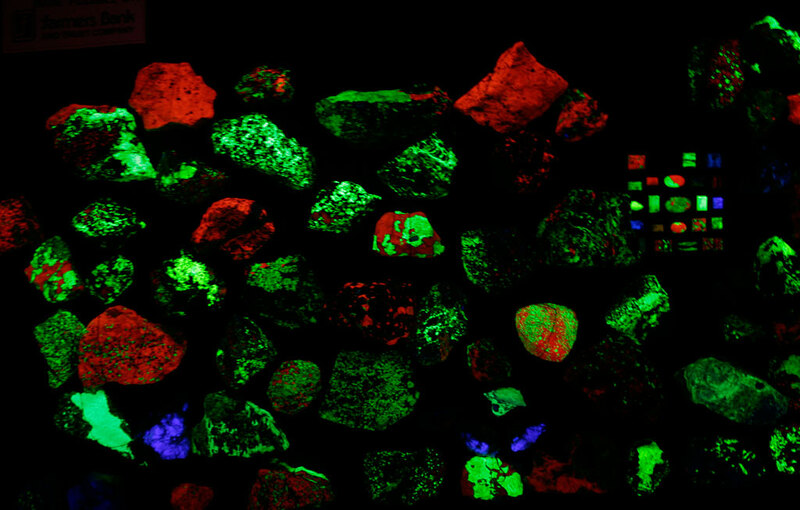 In addition, two other minerals are for sale an UV light fluorescent wernerite var. 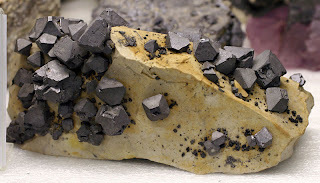 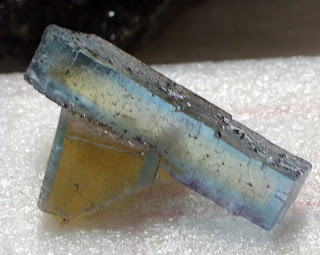 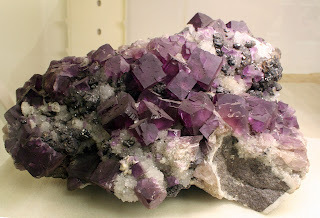 scapolite FOUND HERE from Canada and pyrophyllite with hematite from Graves Mountain, Georgia CLICK HERE. 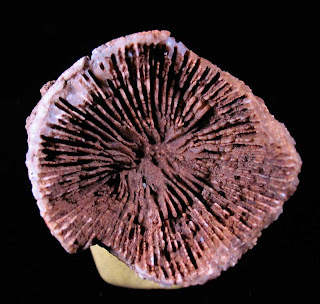 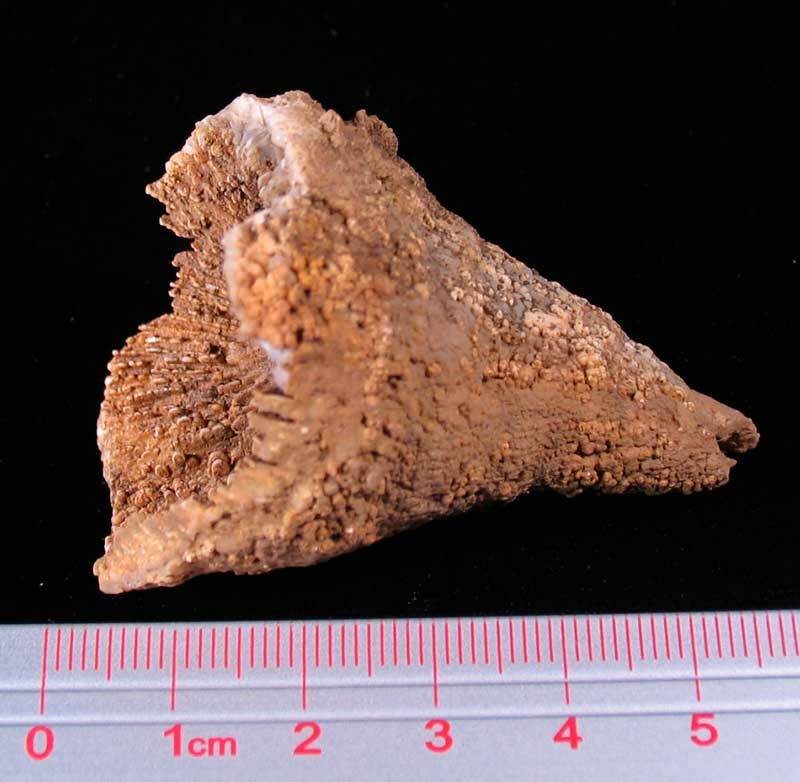 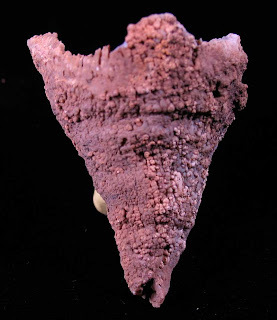 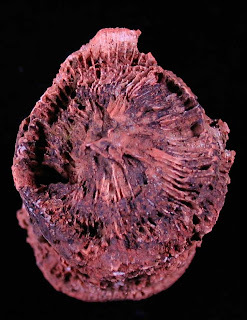 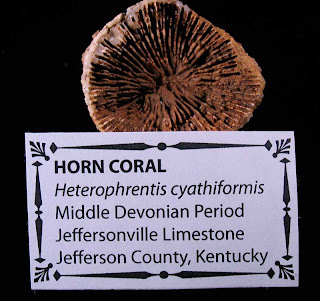 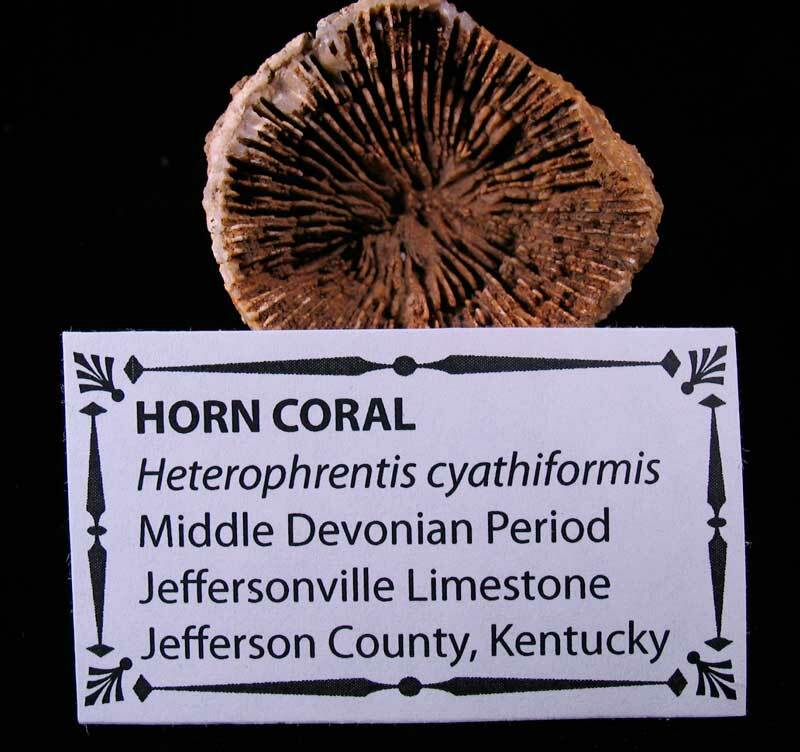 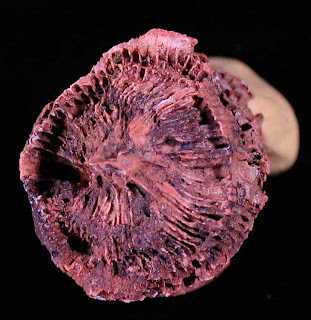 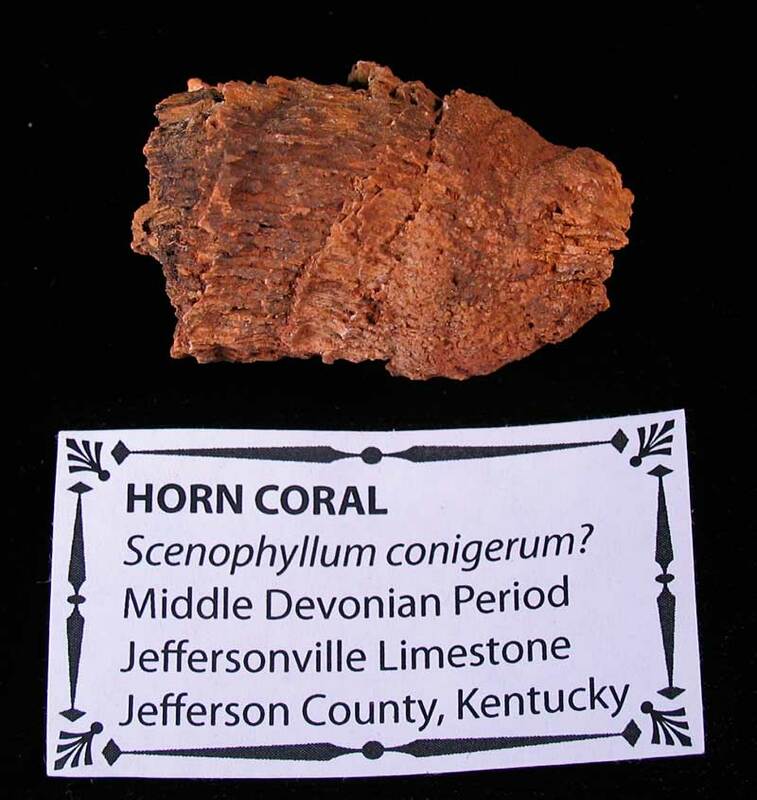 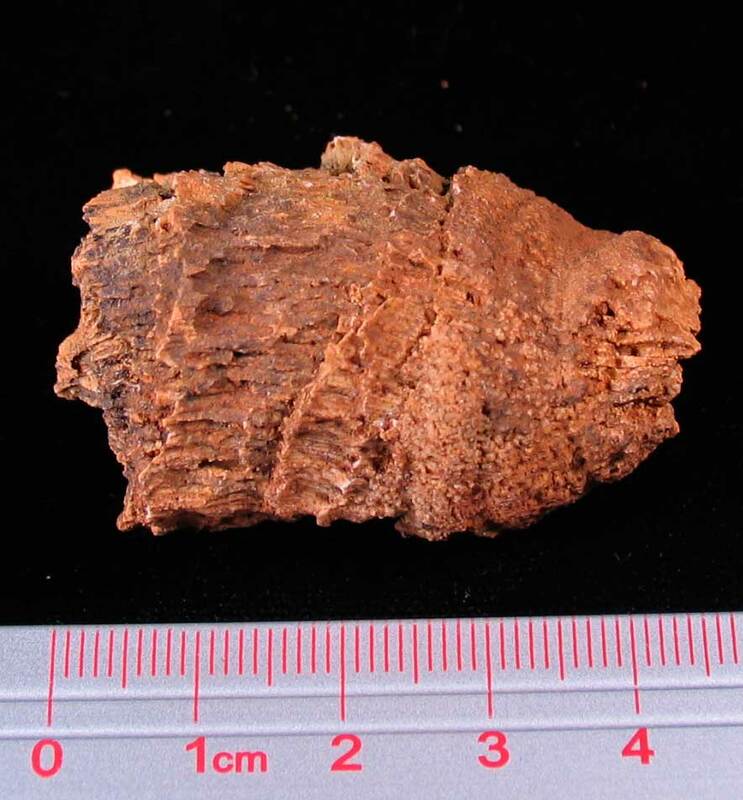 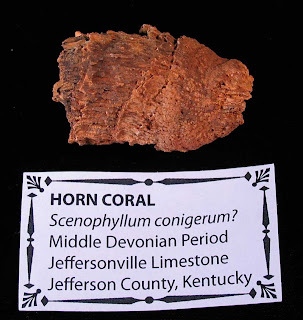 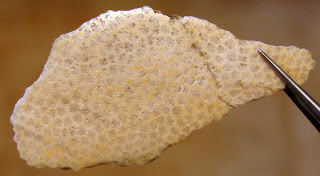 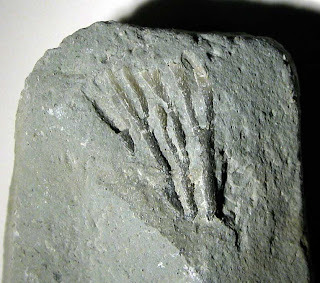 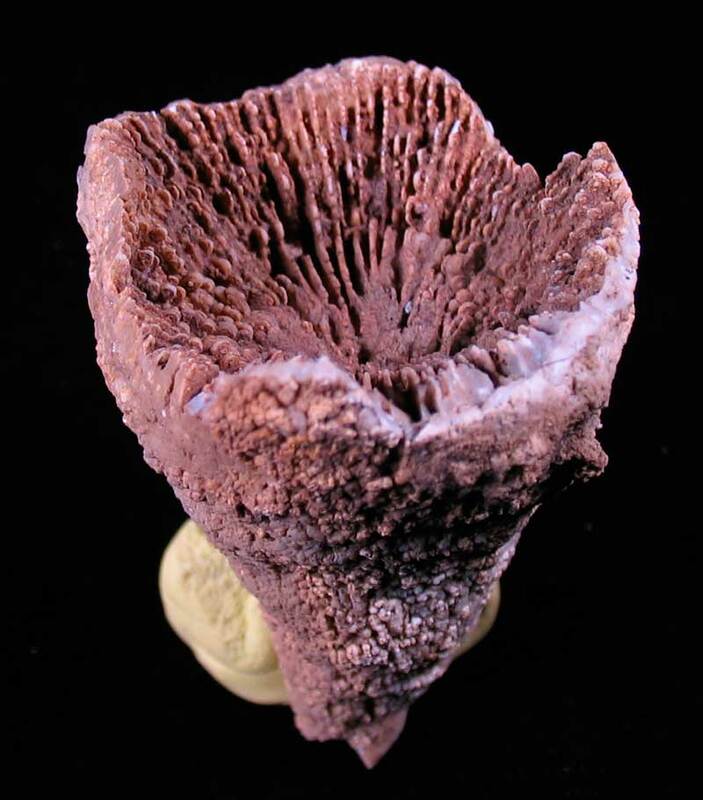 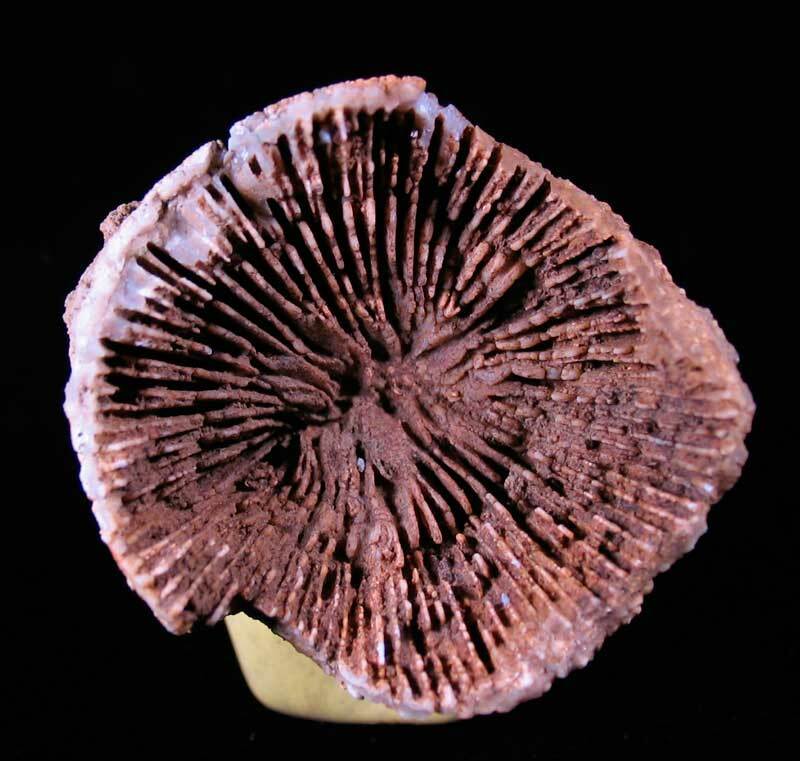 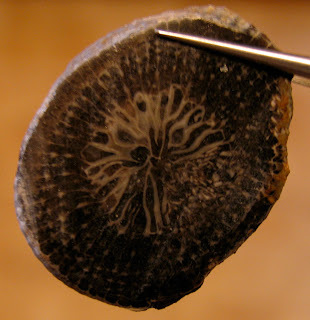 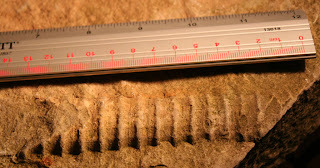 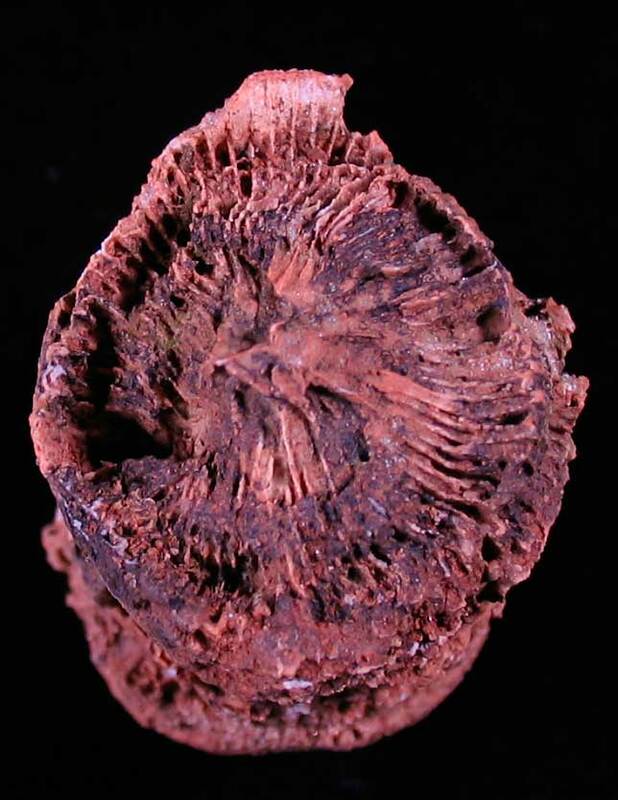 The Heterophrentis cyathiformis horn coral found in the Jeffersonville Limestone of Jefferson County, Kentucky. 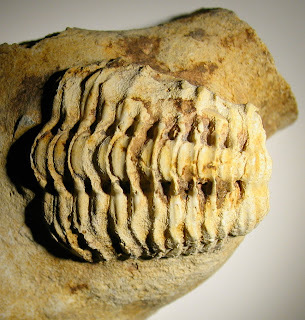 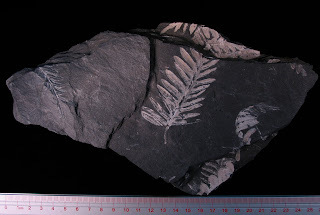 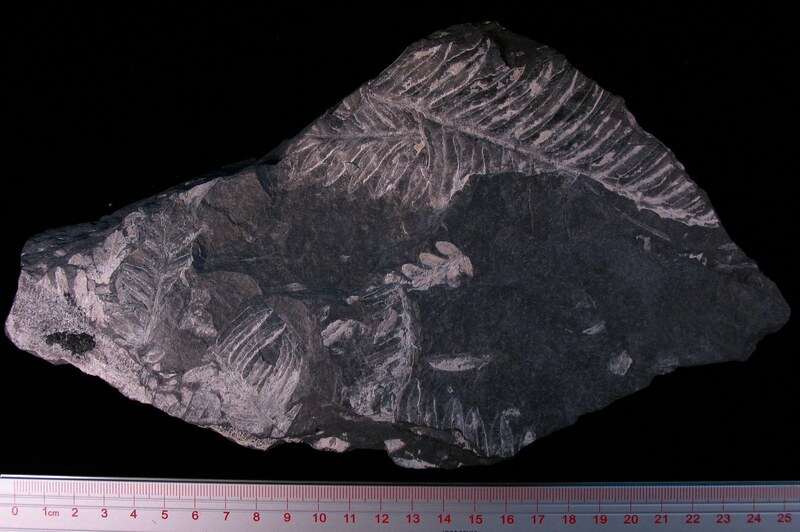 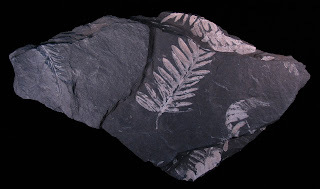 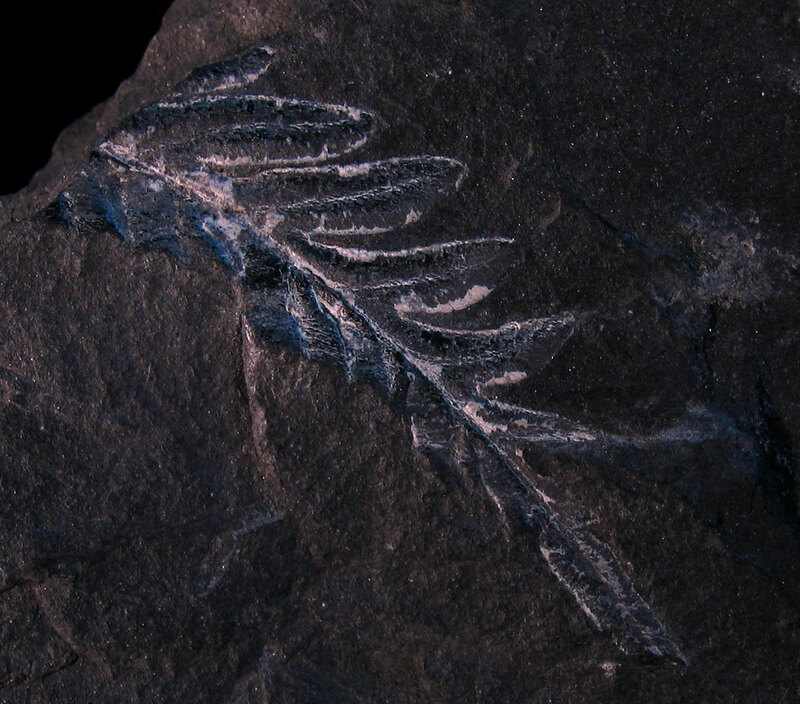 Fossil is from the Middle Devonian Period.